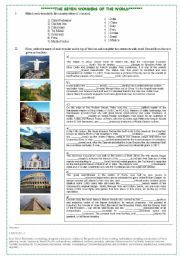 Information about the new seven wonders of the world. Sts must complete the gaps with words derived from those given in brackets. 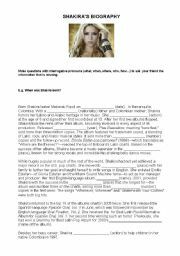 Answers provided at the end of the page. You can ask sts to fold the page and check when they´ve finished it. 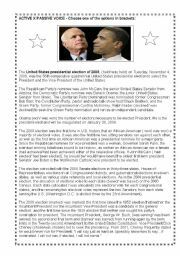 Authentic text that tells a little about the 2008 presidential election in USA.With gaps to be completed with either the active or the passive voice. Two options are given for sts to choose the correct one in each gap. 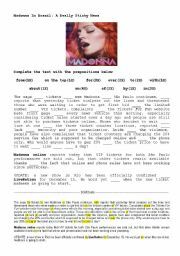 Madonna in Brazil- authentic text with gaps to fill in with prepositions. With Key. 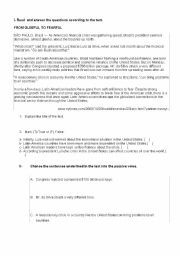 Authentic text about Latin America leaders´position concerning the economical crisis in the USA + Exercise on passive voice. Gap-filling exercise. 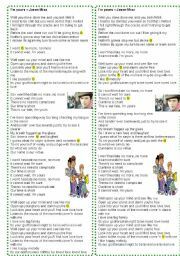 Simple Past X Present Perfect. Authentic text. 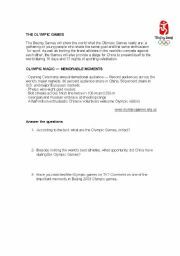 Authentic text on Olympic games with questions about it.